India 8-515 (MS Dhoni 206*, Virat Kohli 107, Sachin Tendulkar 81, James Pattinson 4-89) leads Australia 380 (Michael Clarke 130, Moises Henriques 68, Ravichandran Ashwin 7-103) by 135 runs. Australia was bowled out for 380 runs in the first innings and India hammered 515 runs for the loss of eight wickets in 141 overs. The third day’s play concluded on Sunday, February 24, 2013, at MA Chidambaram Stadium, Chepauk, Chennai. Earlier, India went into day three at 3-182 after utilising 52 overs whereas Sachin Tendulkar and Virat Kohli were in the center with 71 and 50 runs respectively. Tendulkar hit the first boundary of the day in the 54th over and the next 10 overs produced just eight runs with plenty of maidens. Sachin Tendulkar was clean bowled by Nathan Lyon for 81 off 159 balls with 7 fours as the score reached 196 in 63.1 overs. The Indian skipper, MS Dhoni, joined together with Kohli who got the first six of the innings in the 68th over. 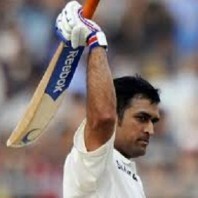 The pair kept on consolidating as Dhoni added 10 runs in the 72nd over with a couple of fours. Virat Kohli added three fours in the next overs as Dhoni reached another Test fifty in the 86th over with 3 fours. Kohli thrashed his fourth Test century with a four on the last ball of the next over and that also brought the third hundred of the innings. Dhoni continued with his onslaught by dispatching another six and two fours in the next two overs as the score was lifted to 324 in 89.2 overs. Virat Kohli lost his wicket at that point for 107 off 206 with 1 six and 15 fours as Dhoni took charge of the situation. The boundaries were flowing from the willow of Dhoni as a couple of wickets fell before he powered his sixth Test hundred on the first ball of the 107th over with a four. The eighth wicket for the home side went down at 406 when Harbhajan Singh was clean bowled by Moises Henriques for 11 and was replaced by the debutant Bhuvneshwar Kumar. 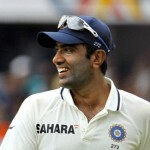 MS Dhoni took the responsibility of scoring as Kumar kept on defending his end with perfect confidence. 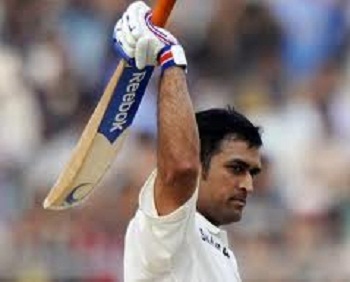 Dhoni surpassed his previous highest Test score of 148 by reaching 149 with the assistance of a four in the 127th over and smashed 150 in the same over. He had scored 148 runs previously as his best against Pakistan on January, 2006, at Iqbal Stadium Faisalabad. 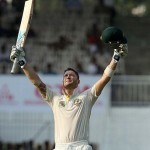 Michael Clarke utilised seven bowlers to dislodge the partnership but remained unsuccessful as Dhoni kept on cruising. Kumar managed just four runs from the 37 deliveries he faced as his skipper hit 2 grand sixes in the 132nd over at the bowling of Nathan Lyon. India went past the 500 runs mark in the 137th over as MS Dhoni blasted his maiden double ton on the first delivery of the following over. The duo could not be separated by the Australian bowlers until the last ball of the day was bowled. The hosts amassed 515 runs with two wickets still in hand after a 109 runs unbroken partnership for the ninth wicket. Dhoni was unbeaten for 206 off 243 comprising 5 towering sixes and 22 sweetly timed fours and Bhuvneshwar Kumar cemented his end with 16 from 56 balls. 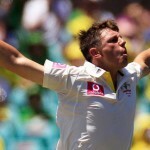 James Pattinson was the most successful bowler with four wickets, Nathan Lyon held three and Moises Henriques claimed one wicket. India has taken a decisive lead of 135 runs and the addition of every single run on the fourth day will increase the worries of Australia.